Howdy, howdy, howdy! It’s your ol' friend and audio neighbor Marc Hershon, host and rootin', tootin’ cowpoke for Epi147 of Succotash, The Comedy Soundcast Roundup. 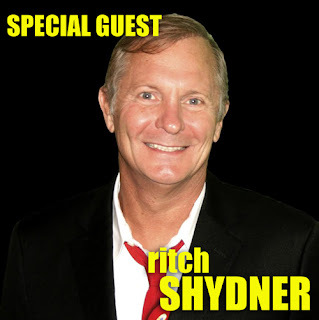 This installment has nothing to do with cowboys, it's actually an episode of Succotash Chats, where we focus on interviews with soundcasters, comedians, soundcaster/comedians, and just plain ol’ showbiz folk. Although, come to think of it, once I get into this episode's conversation with our guest, it is like looking back on a kind of wild West. 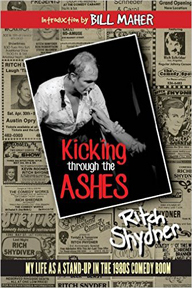 I recently wrote a review on Huffington Post of Kicking Through The Ashes, a memoir of sorts by comedian Ritch Shydner. And then a couple of weeks after that review hit, Ritch was playing nearby at Mill Valley’s Throckmorton Theatre on a Tuesday night. After the show was over, we tried to get a bite to eat but the sidewalks roll up pretty early this side of the Golden Gate Bridge so we went to his hotel and chatted it up there for a bit and that's what you're going to hear. We have a double dose of our Burst O' Durst segment with political comedian and social commentator Will Durst, a short visit to the Tweetsack to read your tweets and emails, and we're sponsored this episode by Henderson's Parka Pants. Don't forget to grab a copy of Kicking Through The Ashes. 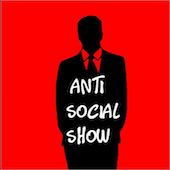 Easiest way to do that is to hit the Amazon banner at the top of our http://SuccotashShow.com homesite, type in the title and get it in your hot little hands quick. In addition to our homesite, iTunes, Stitcher, SoundCloud, and the Laughable app, you can hear each episode of Succotash on our Facebook page, catch us on iHeart Radio and even listen to us on YouTube - it's audio only, though but maybe you'd like looking at a still shot of Ritch Shydner for 56 minutes. As far as what you can do to help Succotash, the easiest and cheapest is to hit iTunes and give us 5 stars and a glowing review. You can also go to our homepage, click on the Donate button and slip us some green. Then there's the Amazon banner at the top of the page and the link to our Succotashery on the right hand side. Until next time our paths cross please remember to pass the Succotash!